Trevor Siemian, 27, agreed to a one-year deal with New York on Wednesday during a free-agent visit, leaving the Vikings in the market for a backup to Kirk Cousins. Siemian, 27, agreed to a one-year deal with New York on Wednesday during a free-agent visit, according to his agency, leaving the Vikings in the market for a backup quarterback. Siemian’s new contract has a base value of $2 million, according to a league source. He’s the third Vikings free agent courted by the Jets, joining guard Tom Compton and linebacker Anthony Barr, who reneged on a verbal commitment with New York last week. The Vikings wanted to retain Siemian, who started 14 games for the Broncos and Gary Kubiak in 2016, but they’ll have to take a different option. 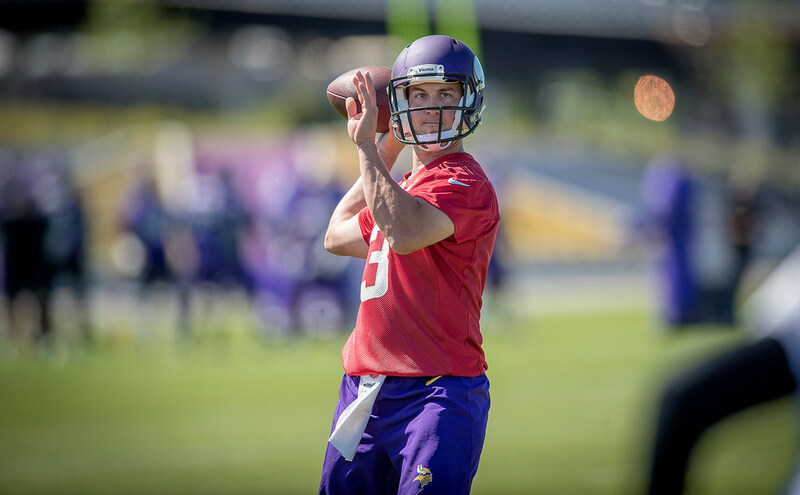 Siemian backed up Kirk Cousins for one season, but did not appear in a regular season game after the Vikings acquired him for a fifth-round pick from Denver. The Vikings also have quarterback Kyle Sloter, a promising third-year passer who should have a shot at the backup job this offseason. One free agent the Vikings have inquired about is former Rams quarterback Sean Mannion, an untested 2015 third-round pick, according to a league source. Mannion has one NFL start, which came two years ago when he completed less than 60 percent of his passes for 169 yards in a loss. Other quarterbacks on the open market include Mike Glennon, Josh Johnson, Geno Smith and Brock Osweiler.